Needs Transmission Work. Asking $750. Call 434-548-5869. White, Won't go in Reverse. Asking $300 Firm. Call 434-438-3956. Long Bed. Has A Lot of New Parts, 4WD. Asking $2,500 OBO. Call 276-336-1993. Silver, AT, 4 Door, 4WD, 80K Miles. Asking $18,500. Call 336-514-5304. 4 Cyl, 2WD, AT, 142K Miles. Asking $2,000. Call 434-835-4665. 4WD, 200K Miles, Good Engine. Works Good. Asking $2,200. Call 434-688-2693. Asking $2,100. Call 434-709-7089 Anytime, or 434-728-1980 After 2:00PM. 5 Spd. Asking $900. Call 434-709-5094. 4 Cyl, AT, Good AC, Runs Good. Asking $2,500. Call 434-250-7743. 2WD, MT, Good Fixer Upper. Asking $700. For More Information, Call 434-709-5432. Asking $4,000. For More Information, Call 434-770-8425. 4WD, Ext Cab, 118K Miles, in Good Condition. Asking $5,000. Call 336-394-2816. 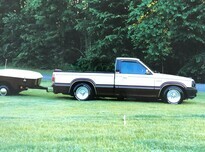 81-93 Dodge Ram Full Size Pick Up, 2 or 4WD, at a Reasonable Price. Call 434-579-8952. Still Runs, but Needs Work. New Tires, Great Parts. Asking $600. Call 434-799-4756. AT, AC, 4.3 V6, VADLR. 434-791-4000. 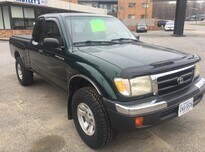 2WD Extra Cab Toyota Tacoma, 100K Miles or Less. Call 434-425-2534 or 434-483-7615. 87-96 Dodge Dakota Pick Up, 2 or 4WD, at a Reasonable Price. Call 434-579-8952. Needs Head Gasket. Asking $550, Cash Only. Call 434-230-1723.